This square concrete cigarette snuffer features vertical 1.2" thick vertical stripe accents on all four sides. 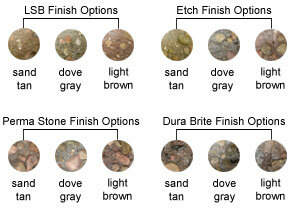 Concrete aggregate blends well with any outdoor setting. Extremely durable with steel reinforced construction for maximum durability and minimum maintenance. Heavy-weight concrete is a natural deterrent to theft and vandalism. Treated with water-repellent sealer to enhance the appearance of the stones and help prevent water, salt, or dirt penetration and most importantly, extend the life of the aggregate by forming a protective barrier against the elements. 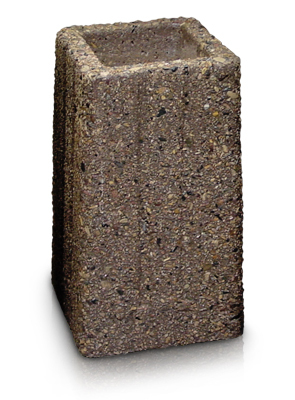 This square precast concrete cigarette snuffer is available in Light Sand Blast, Etch, Perma Stone, and Dura Brite finish options.